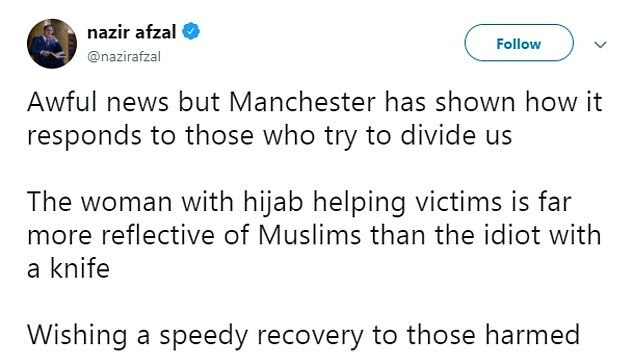 A woman who went to the aid of a man and woman injured in a knife attack in Manchester last night has been praised online. 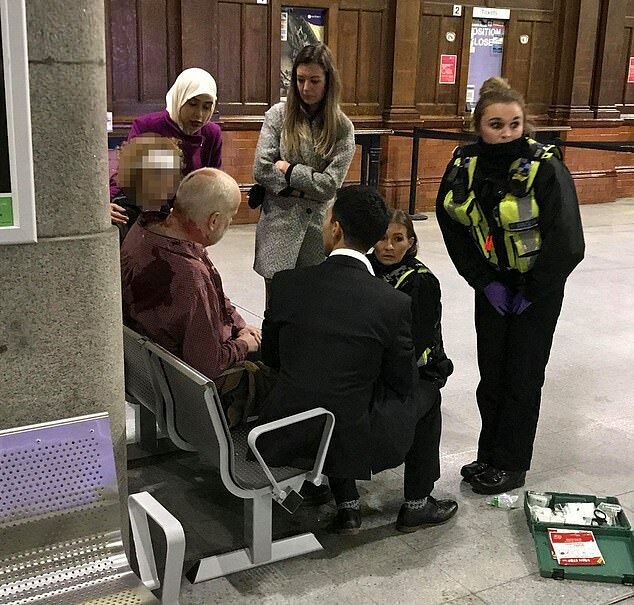 Two train passengers and a policeman suffered knife wounds when a man shouting shouting 'Allahu Akbar' went on the rampage at Manchester Victoria station last night. Pictures from the scene show two of the victims, who are both in their 50s, being helped by two women police officers and members of the public. 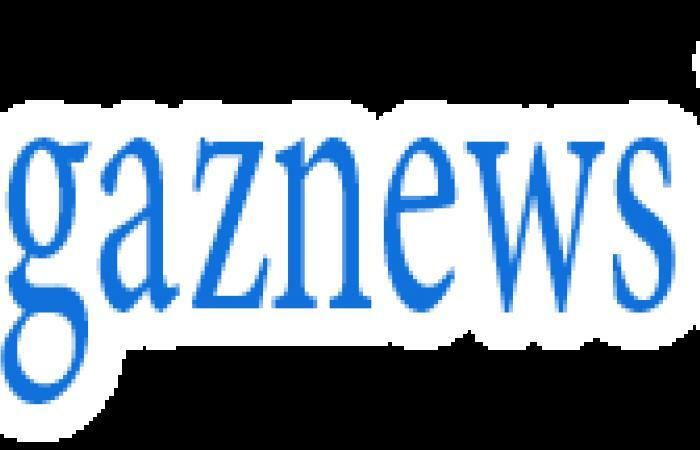 Social media users praised one of the women helping, saying the good actions of passers-by should receive as much attention as those of the attacker. 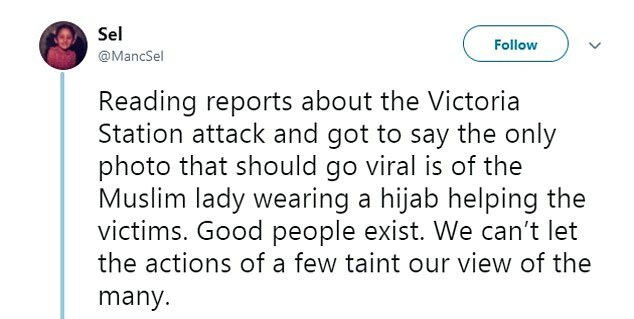 Another Twitter user from Manchester added: 'Reading reports about the Victoria Station attack and got to say the only photo that should go viral is of the Muslim lady wearing a hijab helping the victims.